Objective : The three years Distance Learning B.A. (Hons.) 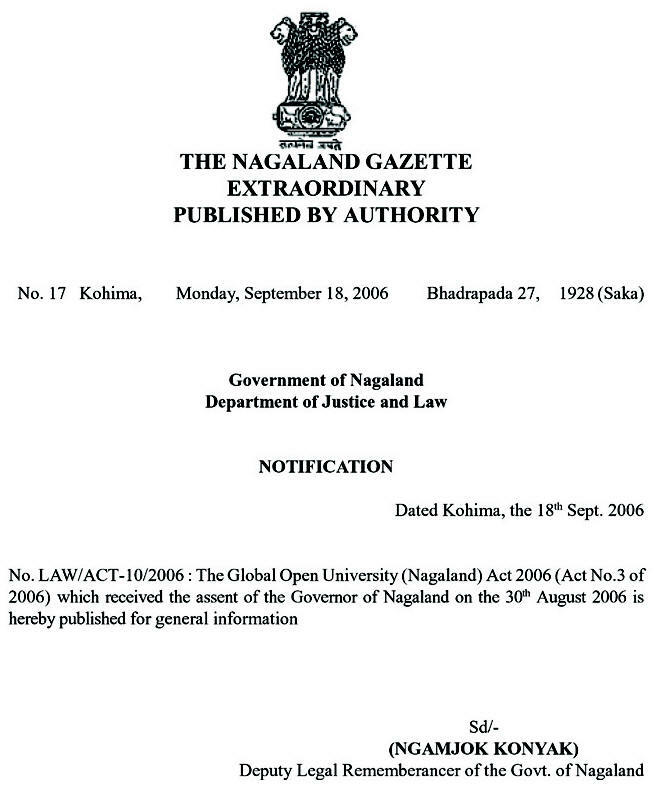 Degree in Journalism and Mass Communication being conducted by The Global Open University, Nagaland has been designed for meeting the demand of the growing needs of experts in the fields of print as well as electronic media management, satellite communication, broadcast journalism, news agency journalism, information resource management etc. Award : B.A. (Hons.) Degree in Journalism and Mass Communication shall be awarded to all the successful candidates by The Global Open University, Nagaland. Careers in Journalism and Mass comm. Journalism and Mass Communication are the terms used to describe the academic study of the various means by which individuals and entities relay information through print or the electronic mass media to large segments of the population at the same time. It is understood to relate to newspapers, magazines, radio, TV, film, internet etc. for disseminating news as well as advertising. The scope for the Bachelor's Degree holders in the media institutions for diffusion of information, media effects, public opinion, digital communication and public relations is growing day by day. 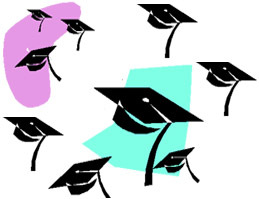 Besides working in the field of mass communication and journalism, these graduates may also simultaneously pursue M.A. Degree in Journalism and Mass Comm. / Photo Journalism / Broadcast Journalism. Accordingly, the Application Form duly filled-in along with four stamp size photographs, copies of certificates and mark sheets and a Bank Draft for the full fee i.e. Rs. 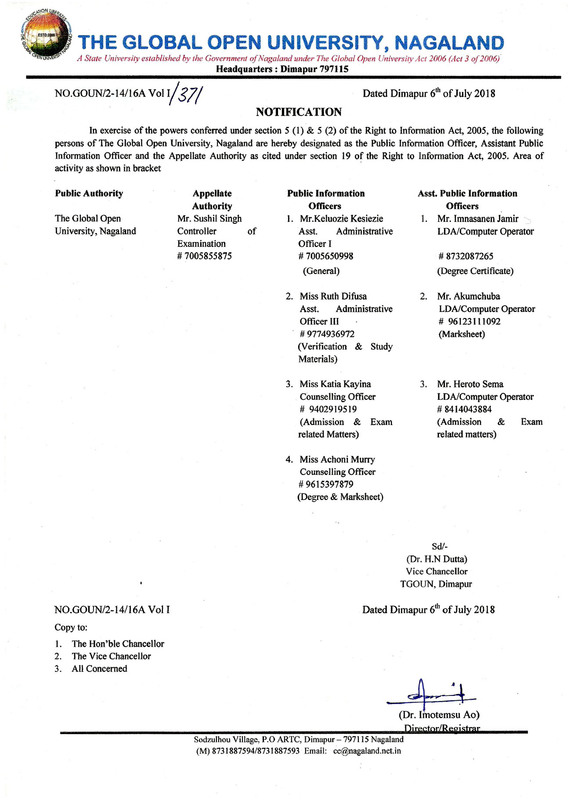 18,125 in the name of “The Global Open University, Nagaland” payable at Dimapur must reach the Admissions Officer, The Global Open University, Sodzulhou Village, P.O. - ARTC, NH-39, Dimapur - 797115 Nagaland by speed post only.